1 Where to store honey? 2 How long to keep? Everyone knows about the usefulness of honey, but not all have the information, how to store honey correctly. To begin, I would like to warn that, as the store did not buy the wrong honey. rather, honey gatherers, beekeepers, I do not advise to buy it in retail outlets. On supermarket shelves, usually, exhibition beautiful goods, transparent. How not to buy the honey? It is not necessary to take it. Need to know, what real right honey loses its transparency after a couple of months, thicken. And this is normal. The quality of this not getting worse. But do not put the same, sellers in the window is. manufacturers, probably, Storage violate rules or honey is subjected to heat treatment. Or maybe, just made a fake. It is better to buy a product from a friend beekeeper. Store honey recommended in a glass container with a sealed lid. 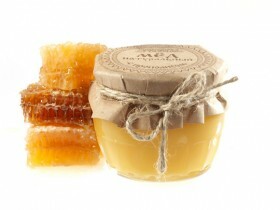 In a clean pot honey does not spoil, it is well protected from excess moisture and different flavors. Honey does not like the sun, Consequently, it is necessary to keep in the dark at room temperature. But the dry air it is a very respected. Monitor the storage temperature must necessarily. 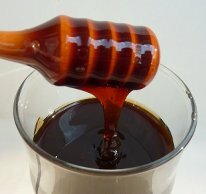 If the honey is very hot, he simply goes into the stage of syrup. Also, do not put it in boiling water, if you do not want, that all useful honey vanished. It is advisable to use the product for a year, otherwise the utility decreases. But it does not mean, that the honey does not need to eat after years of storage, tea instead of sugar added, and the taste he is also sweet and pleasant. If the house is hot, or high humidity, possible to store honey fridge. But for a long time this place is not the best option. We'll have everything - yet to find a suitable room with a normal climate. But it is quite suitable for small servings per day and a fridge. This is the case, When the honey is stored in large tanks. Can be cast in half – liter clean glass jar, tightly close the lid and put into the refrigerator. That's all. Keep the honey should be properly, that he was always helpful and do not spoil. there are cases, when you buy honey, and after a while the ugly picture emerges in the bank. honey, sort of, divided into two parts. Downstairs turned into crystals, and appeared at the top of the syrup. This is the first sign, that honey was not given to mature. This product is not useful. Yes, and water in a honey More, than himself. But If honey is just sugar, This is not terribly. It can be revived, and, all the nutrients remain. Honey jar with heat in a water bath, stirring constantly, until he becomes himself. Important: not to overheat the honey, water temperature in the pan support about 50 degrees. 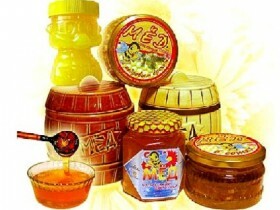 If everything is done as it should, the honey will again become appetizing in appearance.